The weekly holiday is FRIDAY (which is equal to Sunday in most countries) Banks, schools, universities, government offices and most businesses are closed on Saturdays also. A few businesses and shops may also close for some of Sunday as well - for religious observations. not only when they are in our hotel but even when they have left and are traveling around - they may fall back on us to assist them. The standard of medical care in Jordan is generally first class. Many Doctors especially in private hospitals speak English - plus many of the staff. The nearest hospital to our hotel is THE ITALIAN HOSPITAL - APPROX 1 MILE AWAY. The Al-Khalidi Medical Centre at the 3rd circle and The Arab Heart Hospital at the 5th Circle. There are more than 10 very good hospitals in Amman. Likewise first class dental care is also available within easy reach of the hotel - if needed. Credit cards are accepted at some hotels, restaurants and larger shops, including American Express, Visa, Diners Club, and MasterCard. 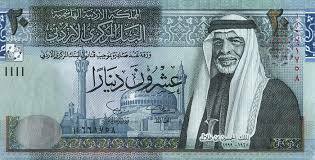 Please note that many smaller shops still prefer cash payment in the Jordanian currency, and it's essential for shopping in the local souks. October - March: Greenwich Mean Time plus 2 hours (G.M.T. 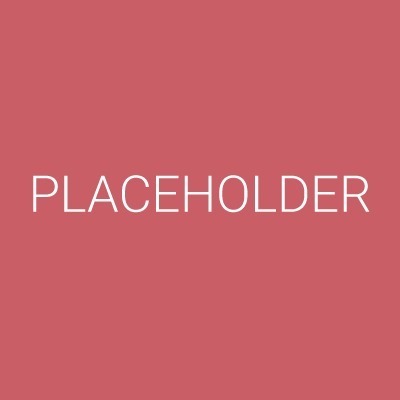 + 2). April - September: Greenwich Mean Time plus 3 hours (G.M.T. + 3). In general, the water in Jordan is of excellent quality, when pumped from the source Water Authority. However, as most water is stored in tanks on the roof - and is only received once or twice per week, there is every possibility that the water may not be as fresh as required as its laying in the taks sometimes in excessive heat - which is a breeding ground for bacteria. Its perfectly OK for washing and even brushing the teeth but maybe not for consumption. Its always better to drink bottled or filtered water in order not to spoil your holiday with an upset stomach. Water is a precious resource in Jordan and visitors are encouraged not to waste it. - Jordan ranks 4th in the world of countries lacking sufficient water supplies. So please exercise care when using the water and please don't waste any. Telephone services within Jordan are efficient and reliable. Sim cards are available for approx. 8-10jd and credit can be added in units of 1, 3, 5, 9 -15jd There are plenty of outlets and the main mobile operator's office is located 200 metres from the hotel. You may also purchase a line on arrival at the airport if necessary. Wi-Fi connection is available free in our hotel and most cafes and restaurants around Amman. Due to the number of Mountains surrounding hotels in the Downtown area - internet connection can sometimes be patchy. 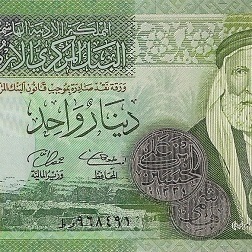 The local currency is the Jordanian Dinar, symbol JD, also pronounced as "jaydee." There are 1, 5, 10, 20 and 50 JD notes. 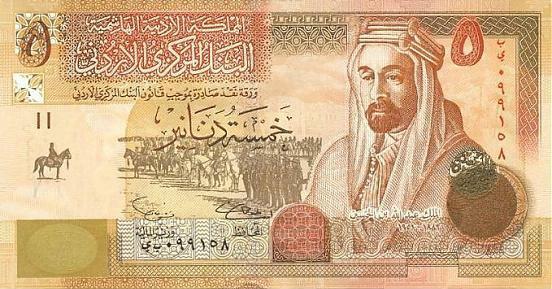 The dinar is divided into 100 piasters (pronounced "pee-asters") of 1000 fils ("fills"). 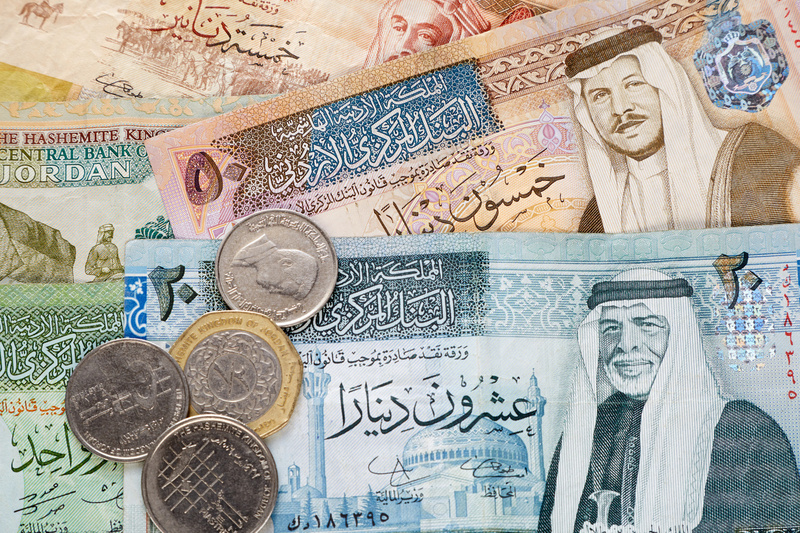 The fils is the unit most commonly used and you will usually see prices written as 4,750 (which is 4 JD and 750 fils). 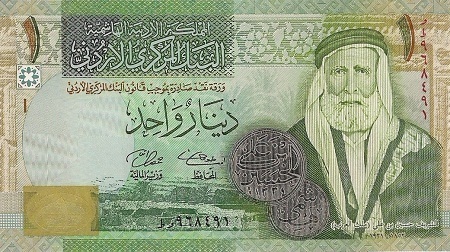 The local currency is the Jordanian Dinar, There are 1, 5, 10, 20 and 50 JD notes. 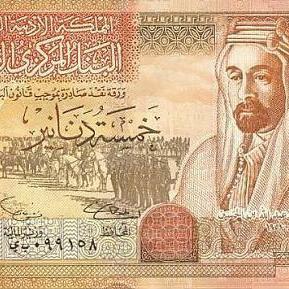 The dinar is divided into 100 piasters of 1000 fils. The fils is the unit most commonly used . Currency can be exchanged at major banks, exchange booths and at most hotels. 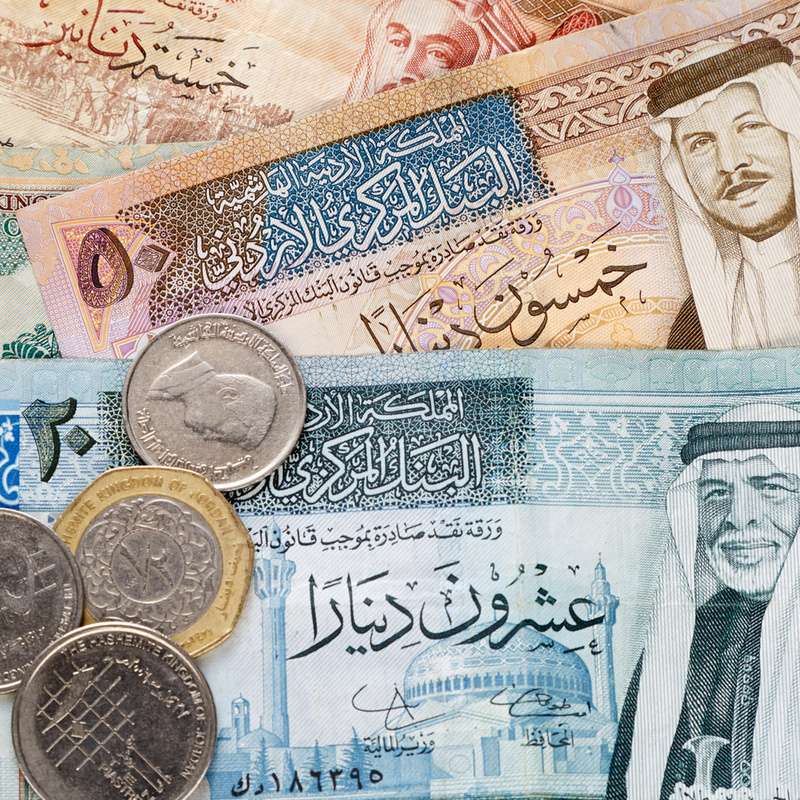 Exchange rates are set daily by the Jordanian Central Bank. 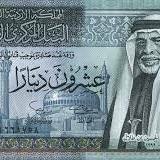 the Jordan Dinar is tagged to the $US - in which case the rate of exchange for this unit of currency is always the same - and fixed. There are a profusion of legitimate currency exchange shops in the souk near the hotel - where rates are usually much better than those in the airport. These exchange shops are open from 0900 - 2000hrs. There is a main post office situated in the Downtown area - opposite Jafra Café - and near to the Orange Telecom Offices.